An estimated 50 million Americans live with an autoimmune disease, and over three-quarters of them are women. While conventional medicine treats symptoms, integrative medicine practitioners like Dr. Lynne R. Mielke and Sandi Kreizenbeck, DNP, dig deeper to find and treat the underlying health issues that trigger autoimmune disease. 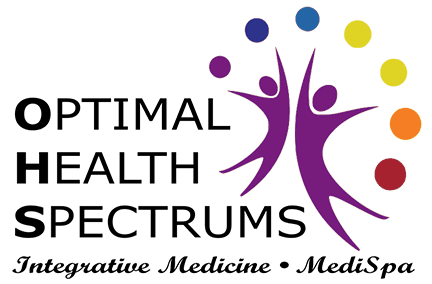 Call their office, Optimal Health Spectrums in Pleasanton, California, to schedule an appointment for a complete assessment and treatment that promotes optimal health. Under normal conditions, your immune system identifies and eliminates or neutralizes anything that enters your body that’s harmful to your health. When you have an autoimmune disease, the immune system mistakes normal, healthy cells in your body as harmful invaders and attacks those tissues. Autoimmune diseases share one symptom in common -- inflammation. 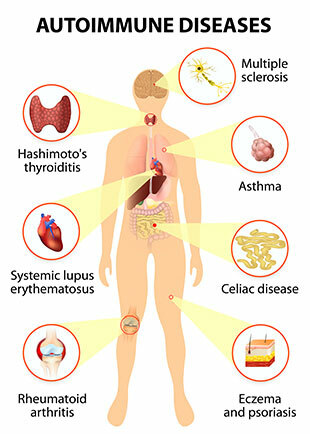 However, more than 100 autoimmune diseases have been identified. They can affect almost every part of the body, and many spread to more than one area, so each one has its own unique symptoms. How does an integrative medicine approach treat autoimmune disease? The goal of integrative medicine is to avoid immune-suppressing medications as much as possible. At Optimal Health Spectrums, we screen for many possible health and lifestyle issues that may trigger your disease. Once they’re identified and properly treated, you can maintain optimal health while limiting or eliminating medications. A leaky gut develops when your small intestine becomes damaged due to inflammation. The injured intestinal wall allows toxins, food, and other harmful substances into your bloodstream, where they irritate the immune system and trigger auto-antibodies. The immune system calms down after we treat your leaky gut. Metals, such as lead and mercury, weaken and damage the immune system and cause inflammation, which contributes to autoimmunity. After screening for metal toxicity, we start a detoxifying protocol -- chelation -- and help you learn how to prevent future exposure to toxins. When you lack essential nutrients, you’re more likely to develop an autoimmune disease, especially if you have a genetic predisposition. We are experts at identifying nutrient deficiencies associated with autoimmune disorders and restoring levels back to normal so your symptoms are relieved. Systemic infections may trigger autoimmune disorders. This could be caused by an undiagnosed virus or bacterial infection, such as Lyme disease, that irritates your immune system and triggers an autoimmune flare. Naltrexone has been used for many years to treat opioid addiction. When administered in a very small dose, it safely increases levels of endorphins -- your body’s natural painkillers. Low-dose naltrexone also helps regulate your immune system and has an anti-inflammatory effect. It can help treat a variety of autoimmune disorders. Click here to read how Low Dose Naltrexone can help those with autoimmune disorders.